So when you're having problems fighting foes like Shredder and the Foot Clan, carrying around this TMNT Leonardo Katana can come in pretty handy. In fact, it's essential! 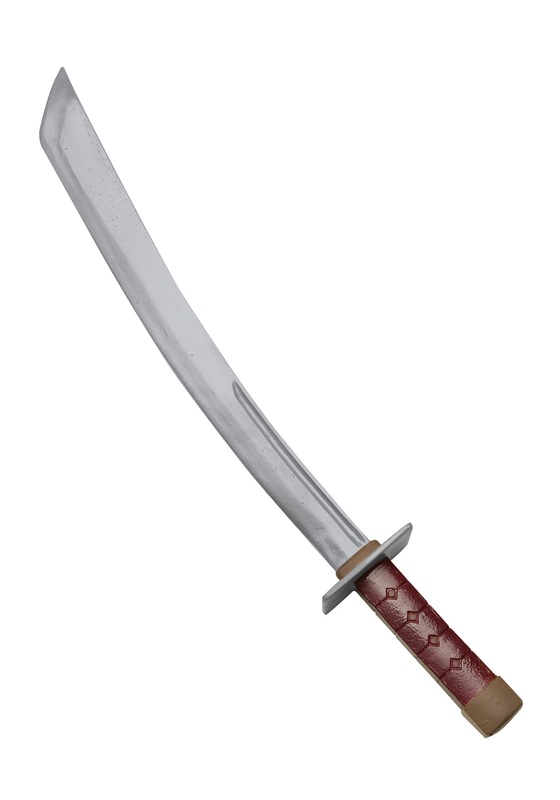 The sturdy plastic sword has a 5" grip painted to look like wood, and the 16" silver glad has a slight curve and tapered tip. Get two of them to complete any TMNT Leonardo costume, or just use one on its own when you can't find the pizza cutter. Booyakasha, friend!